Each Monday at Sagamore Hills Elementary, more than 20 fifth grade students spend their lunch time discussing future career options. Some wish to be mechanical engineers. Others want to be nuclear physicists. Some are considering architecture, while others are evaluating forensic science. All, however, are members of the Sagamore Hills STEM Gem Club. 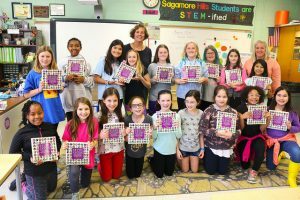 The Sagamore Hills STEM Gem Club is a group of female fifth graders who meet once a week to discuss accomplished women in the fields of science, technology, engineering and mathematics (STEM). The club is named after the book STEM Gems by Stephanie Espy, which profiles 44 female STEM industry leaders. According to STEM teacher and club sponsor Stephanie Spencer, the STEM Gems Club was started in October 2017 after an inspiring presentation by Espy at the annual Georgia STEM Forum. Espy is also a Southwest DeKalb High alum. 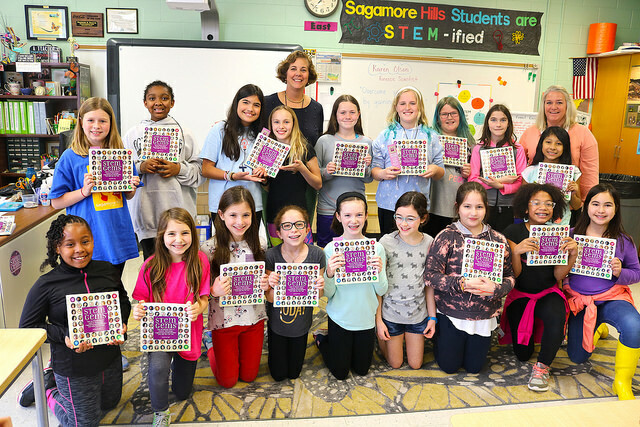 Club co-sponsor and fifth grade teacher Kristin Moehlich said the club has been a positive experience for fifth grade girls at Sagamore Hills. Spencer said the group has discussed women in the fields of animation technology, biotechnology, product design, mechanical engineering, architecture, global health, etymology, microbiology and more. They also discuss strategies to get into such careers: internships, finding mentors, seeking help, asking questions and working hard. Students in the STEM Gems Club said they have already been inspired to seek STEM-related career fields. “Fifty percent of people in here are choosing careers related to STEM,” said one student. “I choose forensic science! I choose photographer! I choose microbiologist! I choose mechanical engineer!” the group shouted together. In February, Spencer and students discussed forensic scientist Karen Olson. In addition to sharing details of her career—DNA analysis, digital evidence, drug chemistry, firearm and tool marks, fingerprints, trace evidence—Olson also shared advice on conquering her fears. For example, Olson had a fear of presenting projects in later in her academic career. 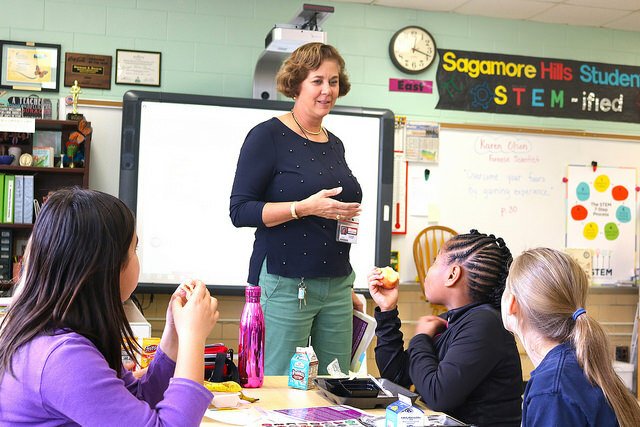 Through practice and proper mentorship, however, she was voted best speaker in her class. Students in STEM Gems Club were then asked about fears they have and what they can do to conquer them. The club members’ answers ranged from ice skating and cooking to taking chances and trying out for America’s Got Talent. Spencer said she hopes the STEM Gems Club empowers its members and instills in them that they can accomplish anything they put their mind to. Students are already becoming experts on how to break into STEM career fields. The club seems to know that a healthy blend of knowledge and grit can take them anywhere they desire to go in life. “You have to have good work ethic, you have to know your chemicals and you have to be competitive,” one student said.